There must be something in the air. Or perhaps it is the change in weather that people like to blame for everything. Nevertheless, there is something going around that has made a lot of people feel homesick these past couple of weeks. 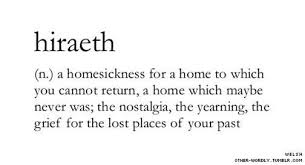 Anyone who lives abroad knows that homesickness is a dreaded curse. It may be that you can get over it and move on, or it could also come to the extreme that you have to move back home – whether it be from another town, city, country or continent. The one thing we have in common though is we are not alone, and for that reason, this week I am going to share quotes about being homesick.